Many people, especially those young and red-blooded people, are living a boring and monotonous work/home life. It means that their main occasions are company and house. It is not right. People should learn how to enjoy life instead of being suppressed by it. However, the main reason of work/home life is resulted from congested traffic, low work efficiency and bad air quality. The advent of Fosjoas electric unicycle self balance will thoroughly change the ordinary work/home life. In the very first place, Fosjoas electric scooters will avoid traffic jam and also be helpful to remit it. Why? People can choose the small-sized Fosjoas electric scooters, like V6 electric unicycle, V2 twin-wheeled scooter and even K1 motorized skateboard, to cover their daily travels, especially commute travel on workdays. Generally speaking, the maximum load capacity of the smallest Fosjoas electric scooter is able to reach 120kg. Therefore, people form all age groups and figures can ride Fosjoas electric scooters and weave among crowds. If all people would like to apply Fosjoas electric scooters to daily travels, the traffic jam will be obviously relieved. More importantly, the air quality will be improved largely. After all, all of Fosjoas electric scooters are powered by clean lithium-ion battery. Effective travel will save time and stimulate work efficiency. After work, people don’t need to stay at home any more. They can go out anywhere and anytime. They can take part in friends’ family’s party. 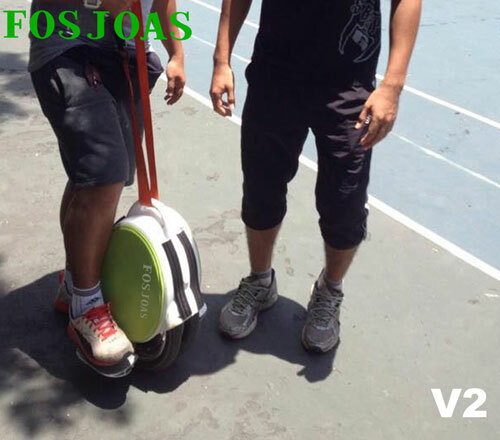 They also can ride Fosjoas electric scooters to take exercise in a park or in gym. Most Fosjoas electric scooters can keep balanced by themselves. Briefly speaking, people change their body gravity so as to realize different controls. Thus, riding is also a process of taking exercise. On weekends, people even can select a suitable Fosjoas electric scooter, like K5 standing up electric balancing scooter and U3 SUV scooter, to start a journey so as to release the pressure from life.